What a weekend! 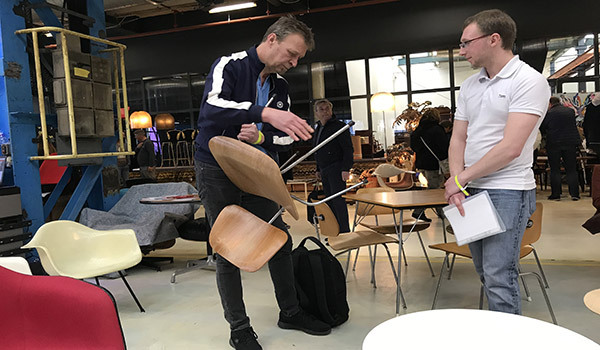 We're back from the Design Icons Amsterdam 2019 event, and we have a lot to discuss in this post-event blog post. We enjoy going to a number of these trade show type of events and writing a review style piece on them because it may help you to decide whether you want to go next time around! 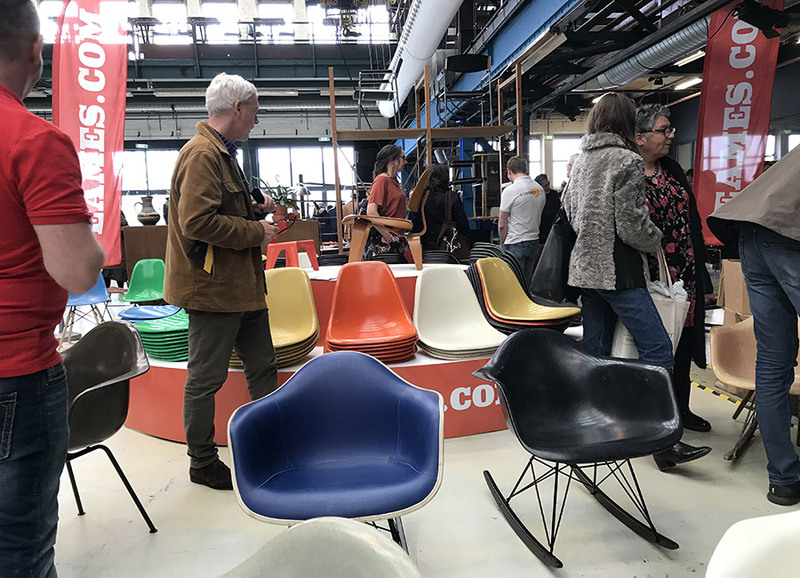 Unlike a couple of other shows where it was our first time, Eames.com has been to the Design Icons show in Amsterdam previously, and so we knew what to expect. For those who may be unaware of the event or haven't got around to reading our last blog post which contains information about it, here's a brief reminder. 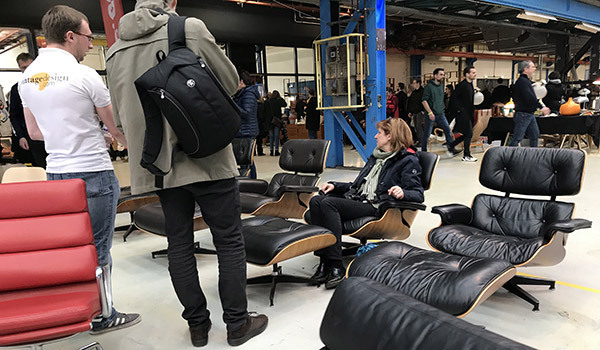 The Design Icons Amsterdam took place at the De Kromhouthal, which is an extraordinary venue, previously a former marine engine factory. The event takes place at this venue every year. 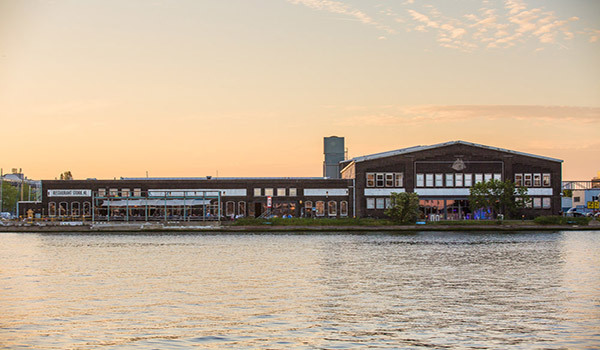 The complex was on the North shore of IJ, where you can see all the cruise ships, cargo ships, tour boats in the long river which goes through Amsterdam. 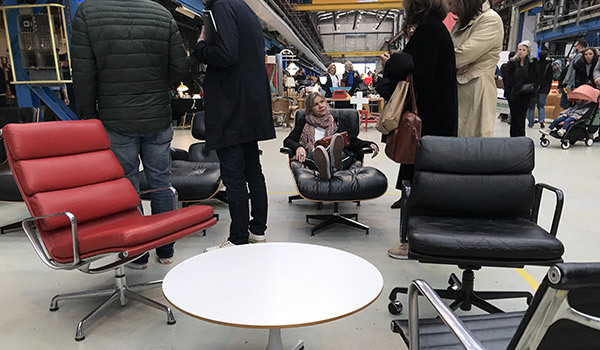 The event hosted approximately 75 exhibitors from all over Europe whom all bought a variety of their vintage pieces. The show began on Saturday afternoon around midday and ended on Sunday evening around 6 pm. The event organizers said that there would be thousands of visitors and we can confirm that this statement was correct. From the moment the door opened, visitors flocked to each stall to take a look at the great items that were on offer to them. 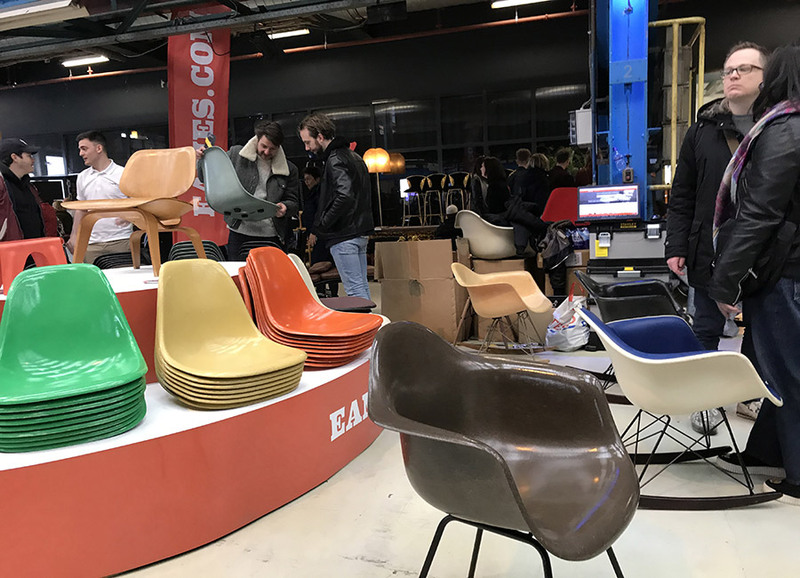 Many of those visitors came to the Eames.com stand, where we were working in conjunction with a seller on the Eames.com Marketplace called Vintage Design. We also partnered with them at the Brussels and Berlin shows. 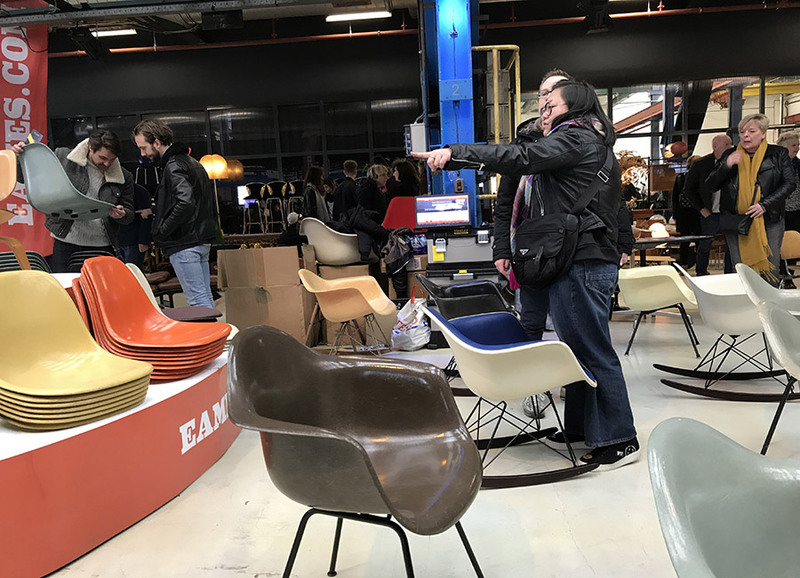 Members of Eames.com were on hand to give technical and historical background to the pieces being offered by Vintage Design, something we enjoy doing immensely. 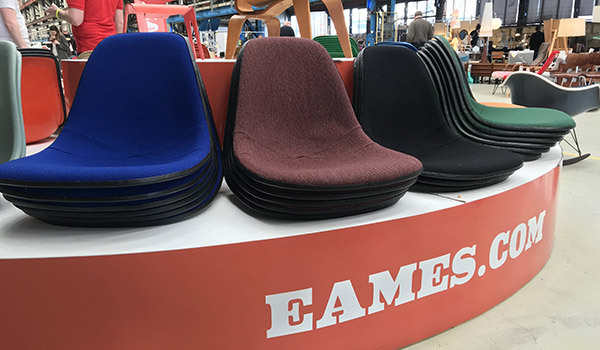 One of our main objectives is to be able to provide product information and history through our online Wiki platform on Eames.com. We’ve had feedback from a lot of you who have said that the Wiki has enabled you to find out specifications of certain items while learning about the background of each piece. As a result, one of the main reasons we were at this show, like every other show we have attended, is to provide you with information. Authentic information, which is often difficult to find. Whether it was technical or historical, we provided key information to our customers at the show. 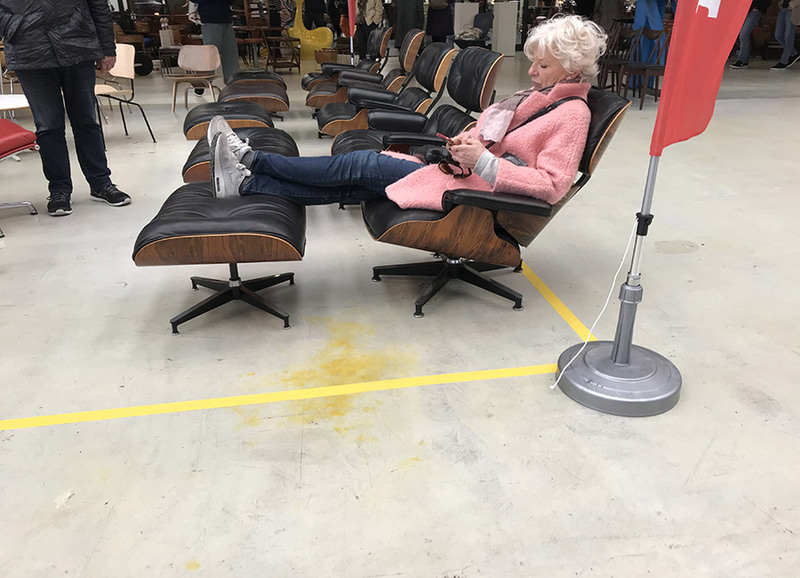 In our minds, the more you know about an Eames product before you buy it, the more value it adds to that particular product and the more connection you feel with it. It’s important to mention the history of an item because we feel as though it gives the piece more life. 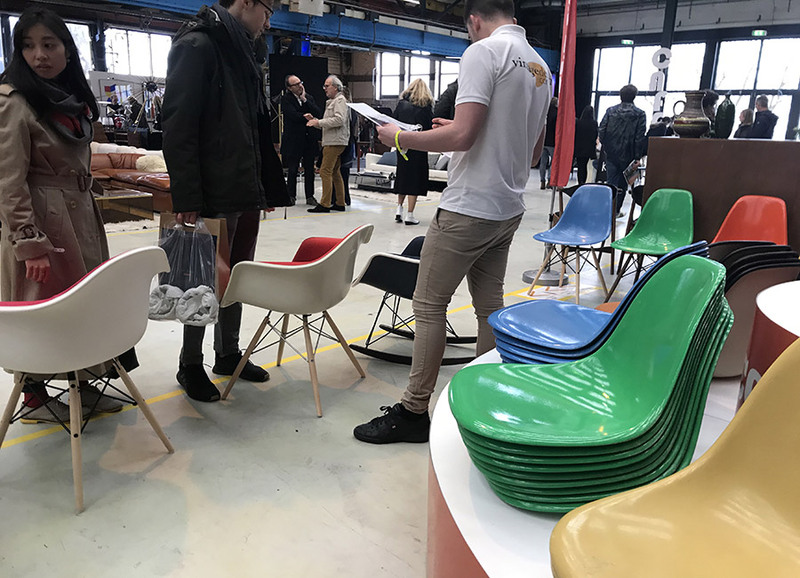 Similarly, to the previous shows, we went to; our segment had many various original and authentic pieces from both Herman Miller and Vitra. We took into consideration the pieces that were proving popular on our social media platforms and at previous events. 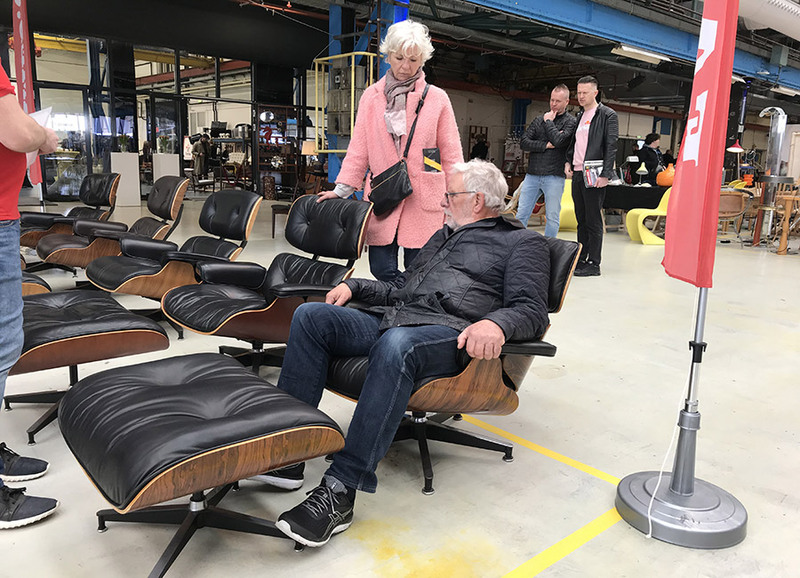 We concluded that no matter where we go, the Eames Lounge Chair and Ottoman always gets the most attention. Mainly because of how amazing they look and how comfortable they are when you're using them. 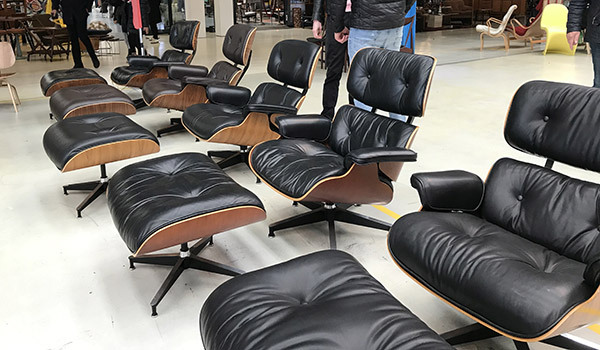 The stand showcased 5 varying Eames Lounge Chair and Ottomans, in vintage Rosewood, Cherry and Walnut adorned in mostly black and brown leathers. 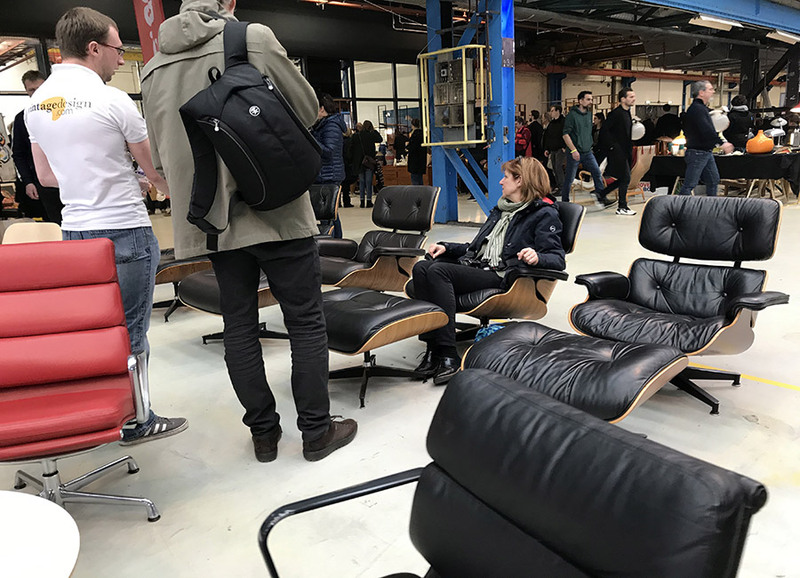 In addition to this, there was also a high back Alu Group Lounge chair with Red leather which was also very popular at the show. 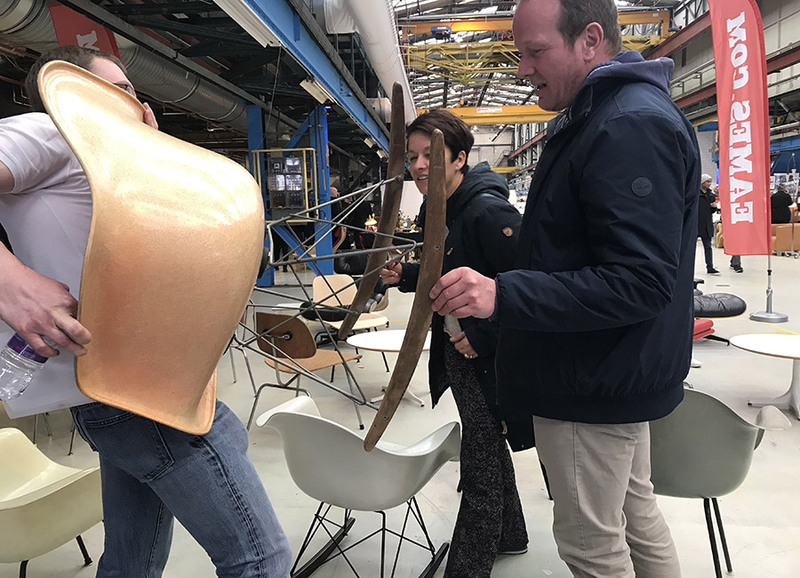 It was interesting to see the number of people who sat on the chair and told us that the pieces were even more comfortable than they looked. One visitor stated how they liked the feeling that the lounge chair gave where it almost feels like it welcomes you into the cushion as soon as you rest your back. 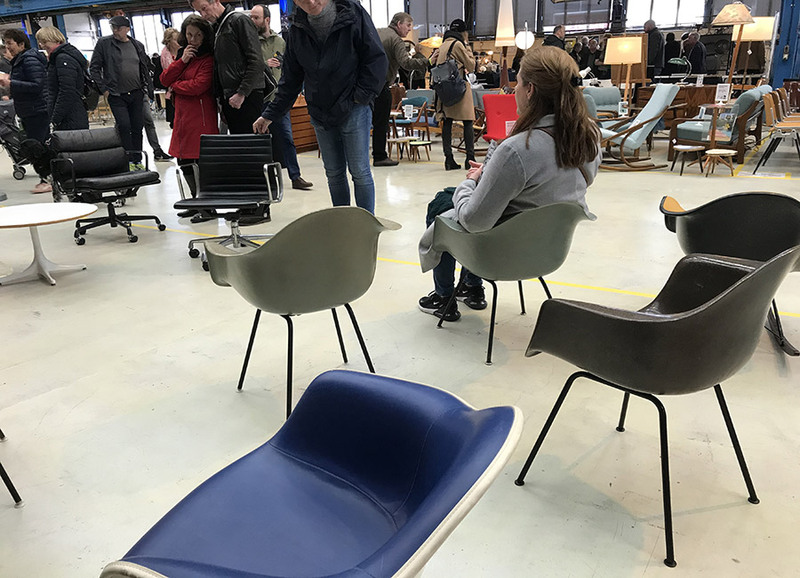 We felt that this was a perfect way to describe a piece that's so well respected in the History of Eames design, originally commissioned in 1956 by Herman Miller and also made by Vitra. Like we do at all the shows we visit, we set up our stand of fiberglass shells. They were always popular during the Amsterdam shows in previous years, and the same thing followed this year. However, this time around, we decided to take a few more fabric-based shells compared to usual to see the response. We soon came to realize that they were arguably just as popular as the none-fabric fiberglass shells! 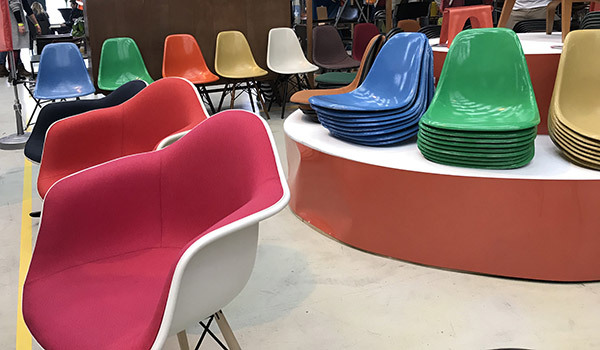 The fiberglass chairs spanned all decades, from the 1stedition Zenith arm chairs of 1950 through the 60’s, 70’s and 1980’s. 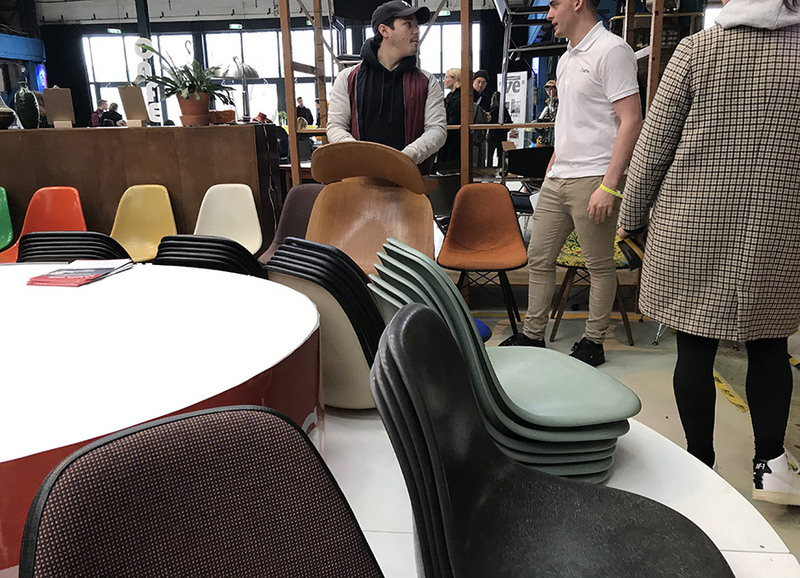 There was a mixture of both Herman Miller and Vitra original pieces and it was nice to showcase such a range of various finishes. 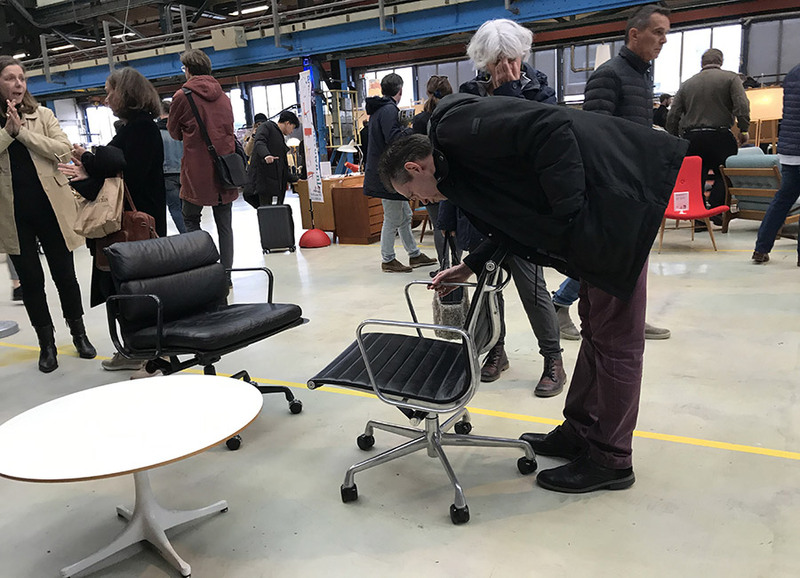 It was interesting to listen to our customers on where they would be putting their chairs. Some people said it would be for their home; others said it would be for their offices and some people said that they were gifts for friends and family members. Overall, we were incredibly happy at how well the Design Icons Amsterdam went, and we will be back again next year. 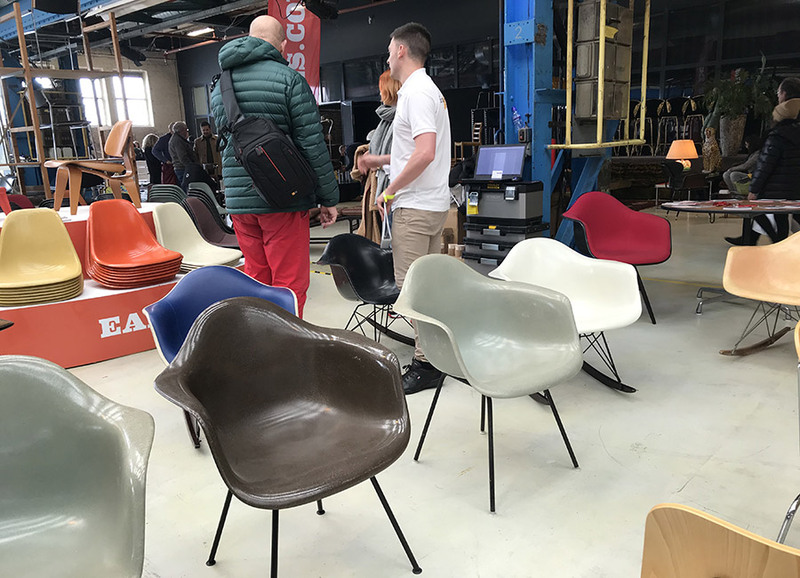 The show had many people who were aware of the Eames products which allowed us to have some excellent conversations and so for that, and we would like to thank you for coming to see us. 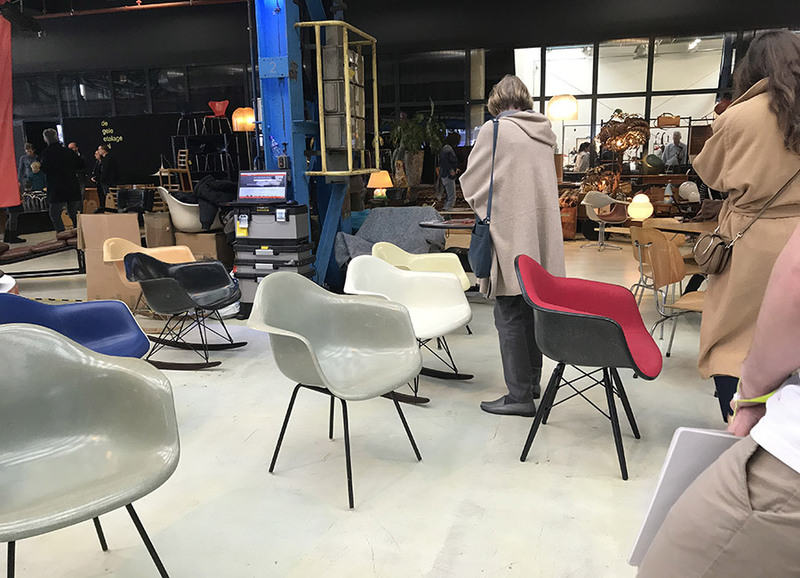 Here are some pictures of our time at the Design Icons Amsterdam. We hope you enjoyed this week’s blog post.